As you guys know and have seen in the evolution of our master and guest bedrooms over the years, we just love plain white linens. Specifically, we love inviting, fluffy white bedding that makes every bedroom feel bright, fresh, cozy, tranquil and promotes deep sleep and weekend mornings spent snuggling under the covers. We just can’t get enough and I think it’s safe to say that we’ll be deep into our love affair with white bed linens for many moons and many bedroom transformations to come. 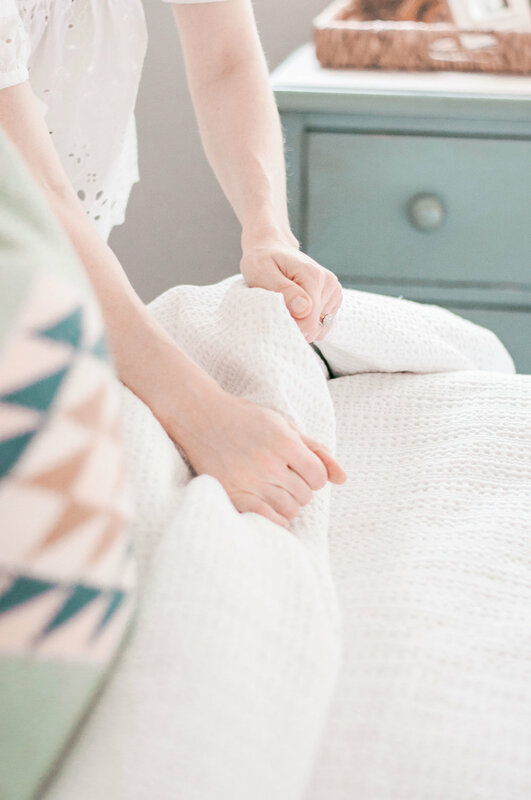 But I’d be lying if I said that we’ve always had a handle on just how to keep our beloved fluffy white bed linens as bright and beautiful as the day we bought them. We all dream about living in a Pinterest perfect world where beautiful white bedding is always crisp, clean and as bright white as the first day we snuggled up in it. But the reality is that we all live real lives where husbands, kids, pets, cookies, hot cocoa, and other hilarious and slightly questionable things (did I mention the cookies and cocoa?) find their way into our hearts and subsequently our beds, giving our bedding’s freshness a run for its money. Hey, life happens, am I right? We're only human! Luckily over the years we’ve tried and tested what seems like a thousand products to try to erase those painful mistakes, misfortunes, and stubborn stains out of our white bedding. 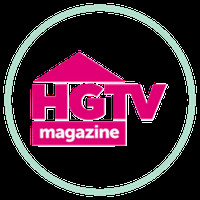 Like everything else in our house, it was a process of trial and error, learning and growing, tears and triumphs. 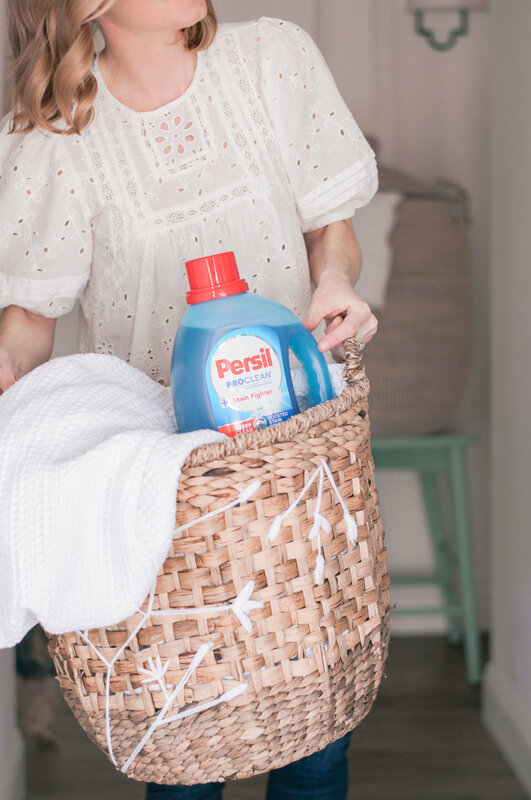 Finally, a friend of mine mentioned that they used Persil® ProClean® laundry detergent on their own white linens and absolutely loved it, so we decided to give it a shot. What did we find? A deep clean with stain fighting power we just couldn’t deny! Finally, those big bedding loads emerged from the laundry as bright, white and sparkling clean as the day we bought them. After just one wash, the integrity of the fabric held up week after week and that fresh scent lasted long after laundry day. Even better? We could conveniently pick it up at our local neighborhood Walmart while stocking up on other essentials! Game. Changer. Persil laundry detergent has stain fighting enzymes specially designed to break down stains and deliver an exceptional deep clean for life's messy moments (in my experience that's stains like: cookies, cocoa, paw prints and all) and we’ve sworn by this stuff since the first big load of white bedding we used it on. What I’m saying is we can all have our cookies in bed and eat them too. That’s the saying, isn’t it? Sure it is. Let’s go with it. So you can stop scrolling and pining over Pinterest images of that perfectly fluffy white bedding, wishing you had a life that allowed for such luxuries and finally start living the white bedding life you were always born to live! If you’re dying to experience a new level of deep clean with Persil® ProClean® laundry detergent and live out your white bedding dreams sooner rather than later, make sure you stop by one of these Walmart locations to Experience Deep Clean Day with Persil® ProClean® laundry detergent! Even more awesome? 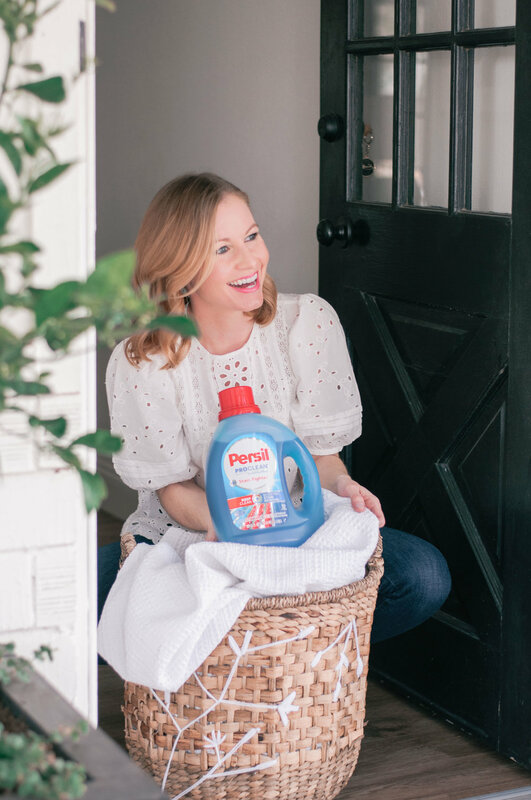 You can also tell the brand all about your experience using Persil ® ProClean® with the #DeepCleanChallenge #Sweepstakes on Twitter, Instagram, or Facebook and you'll be entered for the chance to win some seriously great prizes, including a laundry room makeover! How cool is that? And because sharing is caring, here are five more of our tried and tested insider tips for keeping that bright white bedding as bright and white for as long as possible...because even we need to be reminded of these from time to time to save ourselves from heartache! 1. Just say no to drinks in bed. While you can tell that I’m certainly not against a little cookie-in-bed action, abstaining from the whole food in bed thing is definitely one way to help give that white bedding a fighting chance of staying clean longer. But the scarier stain culprit that I now try to draw a hard line against having in bed? Colored drinks of any kind. A few crumbs can be kicked off of the bed in a flash, but drinks of any kind are just so easy to spill when in the bed-sitting position and can make a seriously devastating mess. Smoothies, juice, coffee, tea, soda - it’s all treacherous and making a rule to keep it all out of the bed is a great first step in making your white bedding dreams come true. 2. If you like it then you shoulda put a quilt on it! Puppy paw and other traffic marks got you down? We get it. Hamlet’s dirty paws have plagued our white bedding for years, but one quick trick that allows us to have (and show) that white bedding proudly is having a lightweight, washable colored quilt. We keep ours in our closet to throw on top of our comforter come bedtime when Hamlet’s most likely to come to curl up with us. Super quick and easy to wash, doesn’t have to be on the bed all the time, and protects our duvet from a daily barrage of paw prints. Win! 3. Wash that makeup, girl. 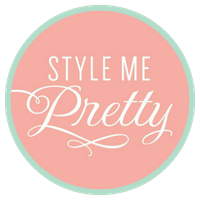 Keeping your face makeup free isn’t just a skin saver, it’s a bedding saver too! Makeup is another usual suspect when it comes to stubborn stains on sheets, so make sure you’re practicing that self-care every night and washing off the day’s makeup before you hit the pillow. Your fluffy white bedding (and your skin) will thank you! 4. Go easy on the bleach! I know that for many moons, bleach has been the go-to for keeping white bedding "bright white" but not only have we found that with Persil® ProClean® stain fighting power's (we really love Persil® ProClean® Satin Fighter detergent specifically for its stellar stain fighting abilities) we don’t need an extra brightening or whitening boost from bleach. But contrary to popular belief, we’ve found that bleach can actually cause the white fabric to yellow over time and compromise the integrity of the fabric’s fibers. 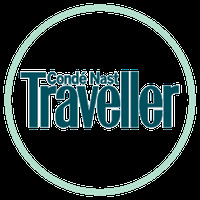 As in, eventually fraying and eating away at the beautiful, soft duvets and shams we love so much. Not great for the longevity of that lovely white bedding and not a sustainable laundry solution. So, set the bleach aside and let Persil laundry detergent do the work! 5. Treat stains right away. Finally, this one might be the most obvious one, but it bears reminding and repeating. When you do get a major stain on that beautiful white bedding, find your zen and don’t panic, just make sure you address it sooner rather than later by washing it with Persil laundry detergent ASAP. The rule is that the longer a stain sits, the more it sets, which doesn’t have to happen if you can address the problem quickly. Face your stain fears, friends! 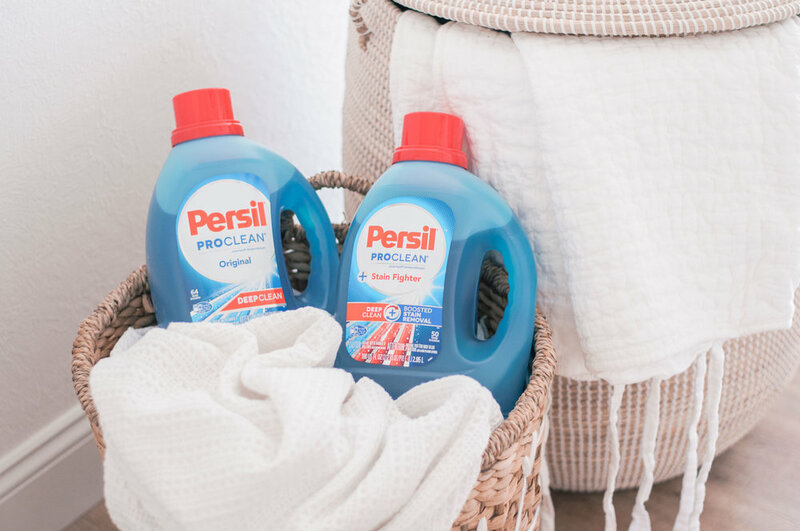 As mentioned, we conveniently grab Persil® ProClean® Original and our other favorite variety, Persil® ProClean Satin Fighter detergents at our neighborhood Walmart in the laundry detergent aisle whenever we're stocking up on that long list of essentials, making our laundry lives that much easier. And if you guys have other tips, tricks, epic insights or even questions about keeping that white bedding bright, white, clean and dreamy until the end of time, make sure you tell us all in the comments section so we can all share in your laundry greatness!